Paul Johnson’s Darwin, Portrait of a Genius: Conservatives smear Darwin by blaming him for Holocaust. The latest effort to smear evolution by natural selection. Photo by Colin Purrington/Elliott & Fry Studio/Wikimedia Commons. At my conservative private school in the South, evolution was the science that dare not speak its name. My sixth grade biology teacher told us it was “just a theory that you don’t have to believe.” In 10th grade, a classmate skipped a lecture on natural selection because, in her words, “I don’t want to believe we come from monkeys.” One teacher had a book in the back of her classroom entitled A Complete History of the Human Race. It began with Adam and Eve. These people viewed Darwin as a kind of biologist Iago, whispering lies into our ears and coaxing us toward damnation. Science was sinful; religion (specifically, evangelical Baptism) was truth. Ignore the Neanderthal skeleton behind the curtain. So why in the world would he write a mini-biography of Darwin with the glowing subtitle “portrait of a genius”? To give Johnson the benefit of the doubt, there is certainly a need for a concise book like this. 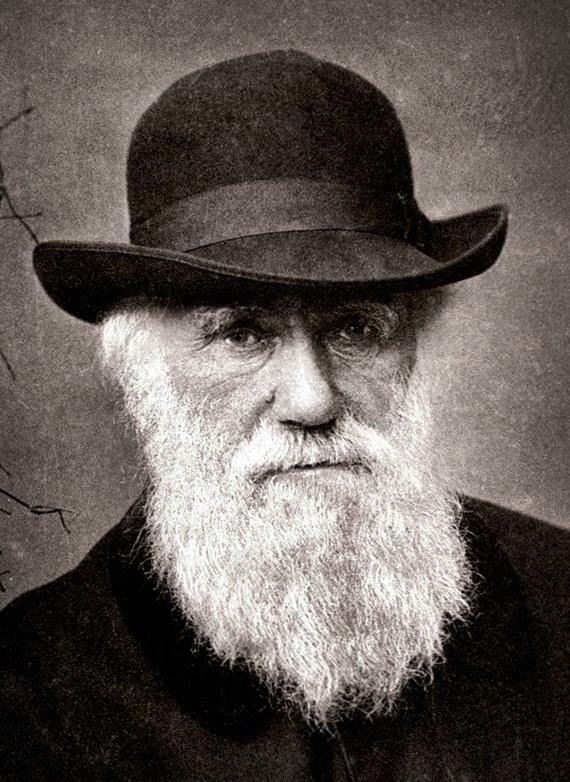 The definitive biography of Darwin is nearly 900 pages; another two-volume work stretches past the 1,200 mark. Johnson’s book comes in at 151 pages, with large text and generous line spacing. If Johnson had gotten the book right—if he had written with objectivity, captured the essence of evolution by natural selection, painted a picture of Darwin as a gentleman and a scientist—he could have written the Darwin biography for everybody. But he didn’t get it right. He got it horribly, almost comically wrong. As a biographical sketch, Darwin: Portrait of a Genius is brisk and sufficient. But as an exploration of Darwin’s theory and its effect on the world, the book feels like Johnson’s weird, bitter vendetta against a scientist who was always more interested in mollusks than men. The problems begin more than halfway through the book, so if you’re looking for an overview of Darwin’s lineage and early life, I suggest you stop immediately after Johnson’s (admittedly engaging) discussion of the world’s reaction to The Origin of Species. Johnson captures the gentle rhythms of Darwin’s early life fairly well: his brilliant, loving family, his rich education, his Beagle voyage to the Galapagos Islands and resulting eureka moment. “Was ever a scientist more fortunate or more happy?” Johnson ruminates, and we are tempted to agree. Darwin’s wife, we are told, was “clever, educated, equable, hardworking, industrious, economical, and, not least, sensitive,” his father a wealthy “genius,” his children loving. Throughout his life, Darwin elicited respect from the scientific community and from Britons at large; according to Johnson, he faced no serious public backlash from publishing Origin, though he feared one and probably delayed writing the book for decades for that reason. Even Johnson’s overview of Darwin’s theory of evolution is clear, rich, and accurate. Darwin, of course, wasn’t the first to realize that species had evolved over time, but he perfected the theory by identifying natural selection as its main driver. He also explained and publicized evolution more effectively than his peers had done. Johnson explains that we remember Darwin, rather than Herbert Spencer or Alfred Russel Wallace, as the father of evolutionary theory in part because of Origin’s immense popular appeal, as well as Darwin’s “exquisite tact” in downplaying the book’s real conclusion (the Bible is wrong). At this point, with little warning, the book begins to veer off the rails. Johnson notes repeatedly that Darwin had a fairly racist view of native peoples—he called them “savages”—and that he vastly overestimated the implications of Malthus’ theory of overpopulation. Fair enough, though Johnson’s fixation on these shortcomings overshadows the fact that Darwin’s views were widely shared among Britons. Johnson claims that most of Darwin’s next two books, The Expression of the Emotions in Man and Animals and The Descent of Man were largely “rambling stuff of no scientific value.” That’s a massive overstatement, but there’s no harm in remembering Darwin’s flaws, misunderstandings, and racist ignorance. Nor will the rest of us fare any better than Darwin did: So long as we accept evolution wholeheartedly, we will spend our lives dangling above the “huge bottomless emptiness of life,” an emptiness which Darwin felt “yawning” in his last days. Johnson would rather we combine evolution and religion (he is a devout Catholic) to some unstated degree; it is his belief that humans have now conquered natural selection, and that we must keep room for morality in our lives. Or something. It’s really impossible to say what Johnson wants us to take away from this book, except that Darwin was not a saint and that his theory wasn’t perfect. Both points are true, but they do nothing to support the reprehensible theses that Darwin was responsible for millions of deaths and that acceptance of his theories leads to personal misery. Many nonreligious people recognize the truth of natural selection without collapsing into nihilistic despair; one need not reject the reality of evolution in order to live a meaningful, moral life. To suggest otherwise, as Johnson does, is an insulting and illogical demand that we must either abandon science for blind belief or else face a lifetime of anguish. Johnson’s book does readers a great disservice, masquerading as an objective biography before descending into mud-slinging nonsense. A few of my former classmates might appreciate his work. But no thoughtful reader could possibly tolerate Johnson’s stunning intellectual dishonesty.